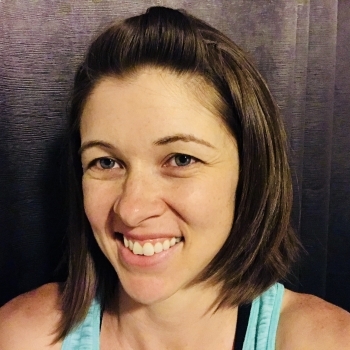 I do resistance training twice a week and what I eat after a workout is important, but as a stay-at-home mom to a toddler, it’s not always easy to grab something directly after that meets my body’s needs. 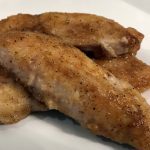 I need something fast and easy, plus it has to be paleo! So I set out to find a paleo protein powder that helps me get the most out of my workouts. 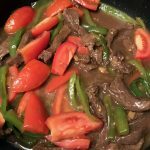 Before I switched to eating mostly paleo, I was never a fan of protein powder, and even now I was hesitant to try a paleo protein powder. But it simply came down to this: I work out hard, so I need to work hard to take care of my body after. 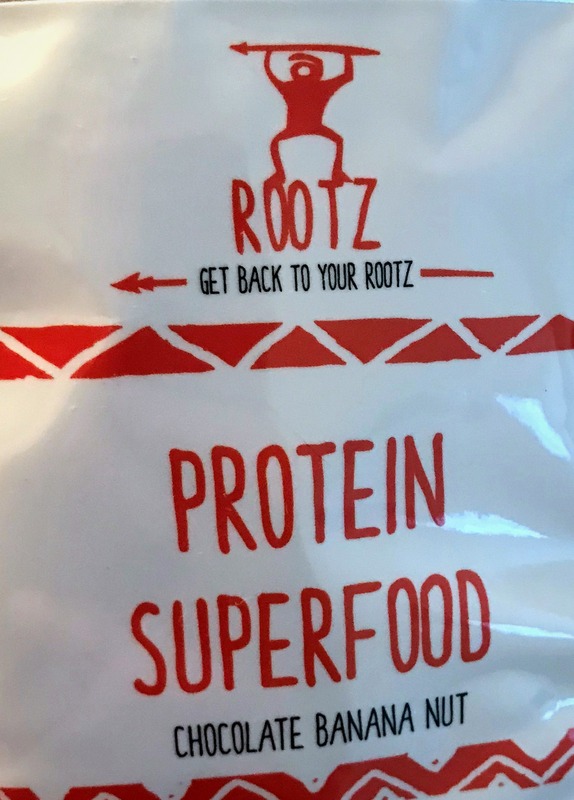 I recently found Rootz Nutrition – Chocolate Banana Nut Protein Superfood. This paleo protein powder contains egg white protein, hemp protein, and sacha inchi protein, combined with a blend of all natural superfoods to create a delightful any time nutrition that promotes the growth of lean muscle mass and overall health. 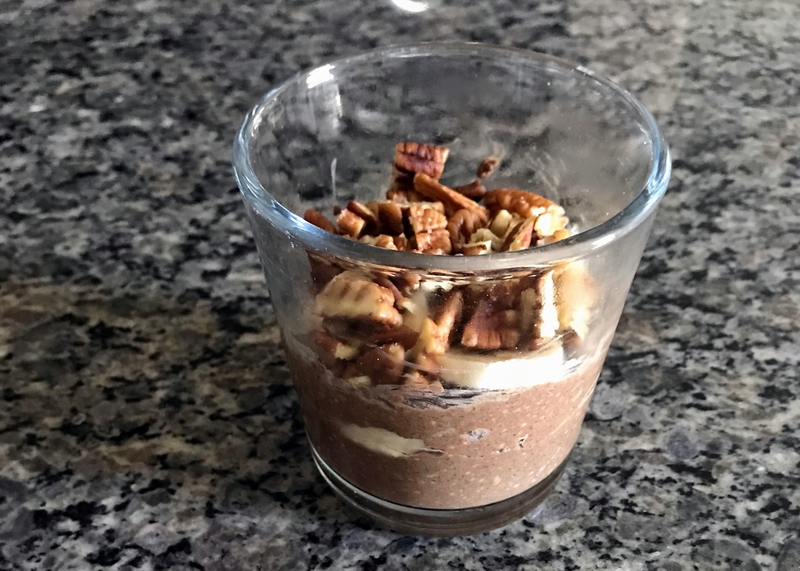 Now I’m definitely not into shakes or smoothies, so using the paleo protein powder in this fashion was not an option for me, so I created a chia pudding parfait with it. To make the pudding, combine three tablespoons of chia seeds with 2/3 cups of vanilla coconut milk. 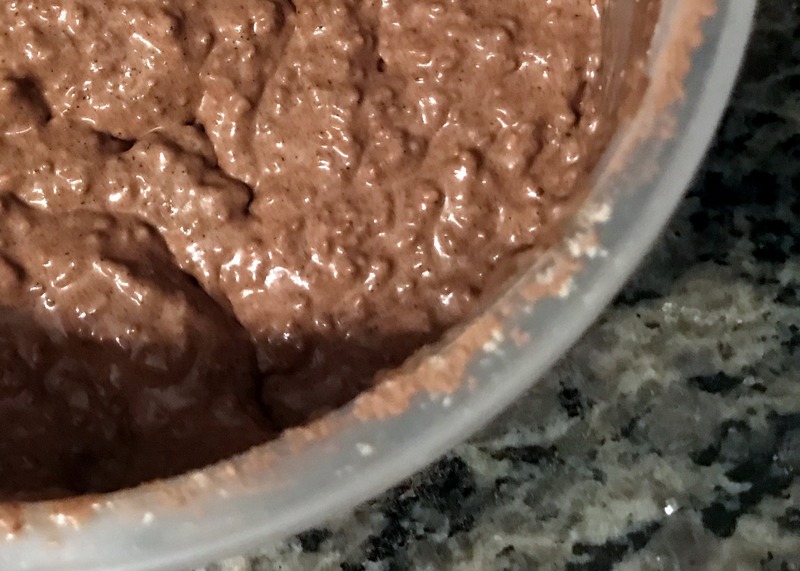 Add one scoop of Chocolate Banana Nut Protein Superfood, one tablespoon of cocoa powder, and 1/2 tablespoon of maple syrup to the coconut milk chia seed mixture and stir thoroughly until mixed well. Time to make it a parfait! 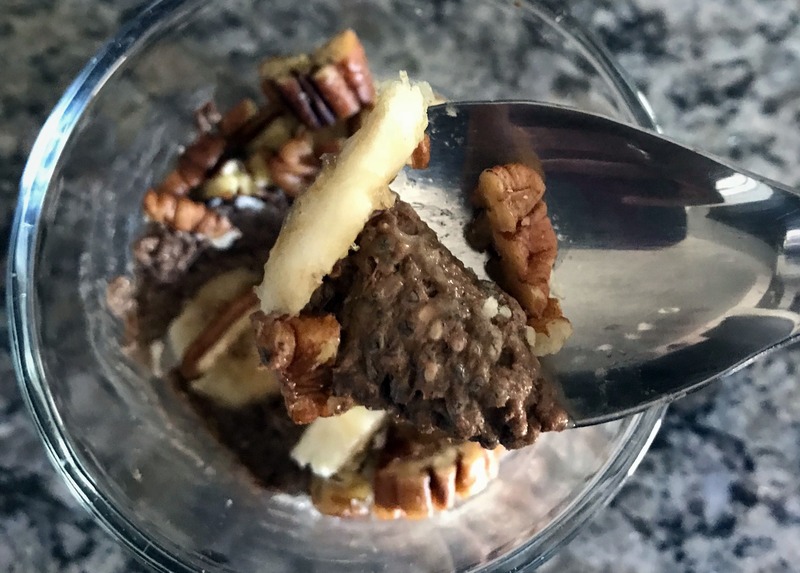 For this part you will need a half of a banana sliced and two tablespoons of roughly chopped raw pecans. Put half of the chia pudding in the bottom of a small glass or container. Layer with 4 slices of banana. Cover the bananas with the other half of the chia pudding. 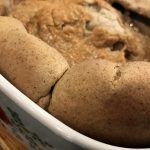 Layer with the remaining bananas and top with pecans. Cover the parfait and let it sit in the refrigerator for a few hours or overnight to let the pudding thicken completely. Making it the night before a workout is ideal because you can just grab it out of the refrigerator when you get home from the gym. 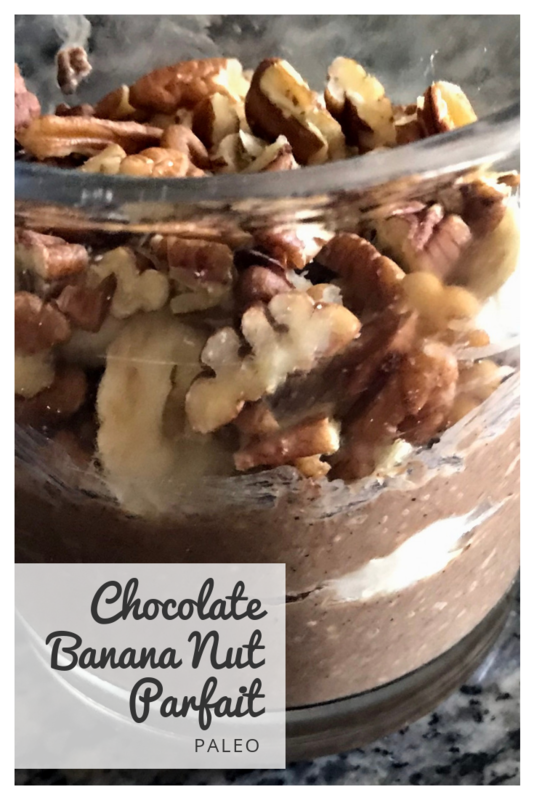 This parfait also makes a great meal replacement when I’m in a bind. Taking care of a toddler means that taking care of myself properly can sometimes be a challenge, so grabbing this as a quick meal replacement, if absolutely necessary, is so helpful. My friends at Rootz Nutrition are offering a special promotion of 10% off your first order if you use my coupon code foodwisefamily at checkout. P.S. They sell sample sizes of their products. So you can try it out using my coupon code before you make a commitment to it. After all, finding the paleo protein powder that works for you is such a personal choice. 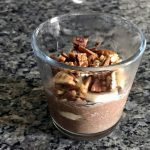 This paleo chia pudding parfait is packed with protein and is perfect for an after workout snack, or as a meal replacement. Combine chia seeds with vanilla coconut milk. 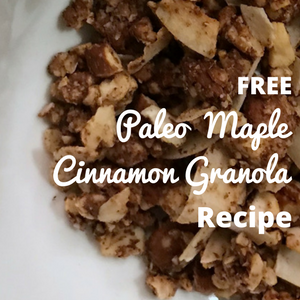 Add the Chocolate Banana Nut Protein Superfood, cocoa powder, and maple syrup to the coconut chia seed mixture and stir thoroughly until mixed well. Time to Make It a Parfait! Put half of the chia pudding in the bottom of a small glass or container. Layer with 4 slices of banana. Cover the bananas with the other half of the chia pudding. 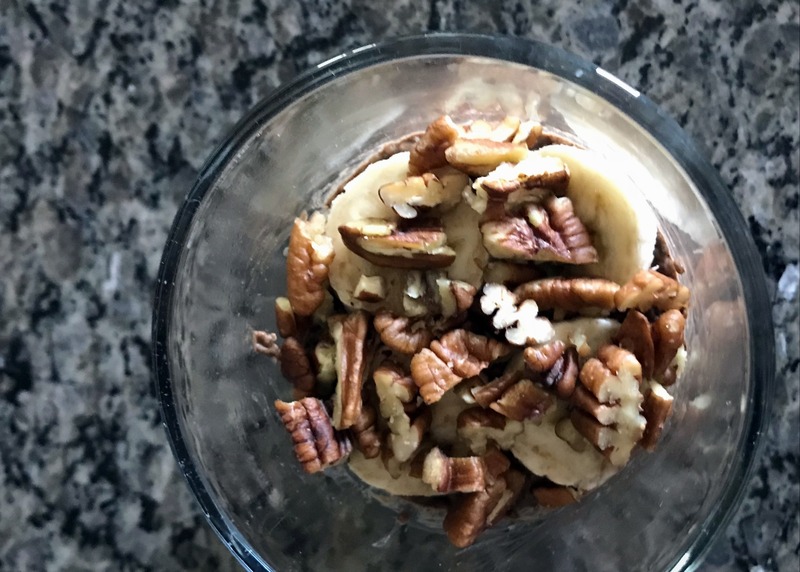 Layer with the remaining bananas and top with pecans. Cover the parfait and let it sit in the refrigerator for at least an hour or overnight to let the pudding thicken completely.